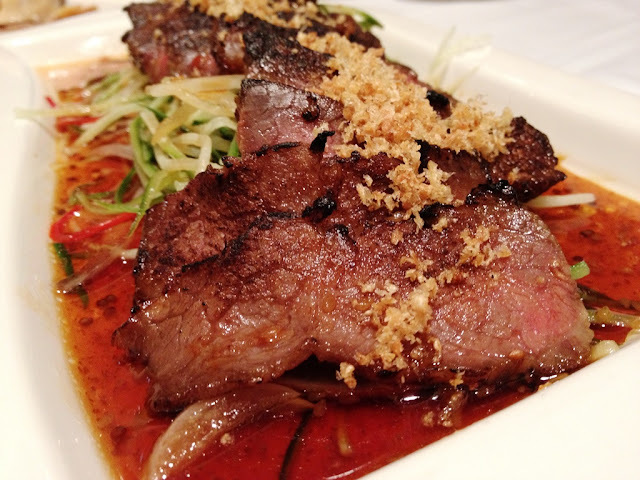 Serving authentic fine Cantonese cuisine, the House of Jasmine offered a comfortable and tranquil environment. The open air patio was unique and allowed splendid harbour view for customers hosting banquets. 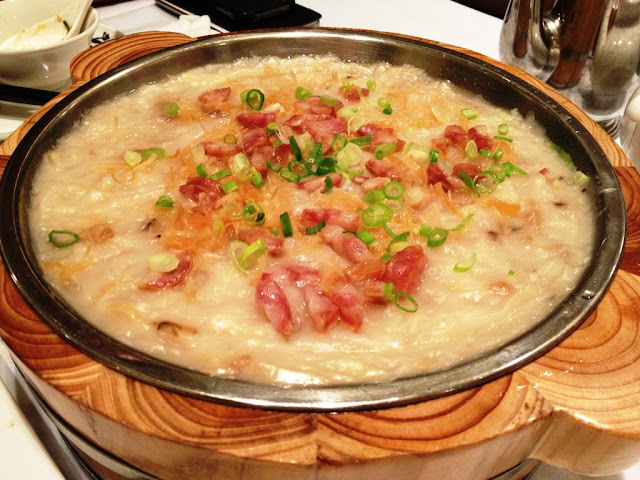 Being part of the Maxim's Group in Hong Kong, this was a stark contrast to the fast food Cantonese cuisine that they were more commonly known for. Apparently, House of Jasmine is quite a popular spot for couples to host wedding dinners. Indeed, on the two occasions that we visited, the restaurant hosted wedding banquets, which resulted in the long wait for a table. After some 30 minutes of waiting, we were finally shown to our table! 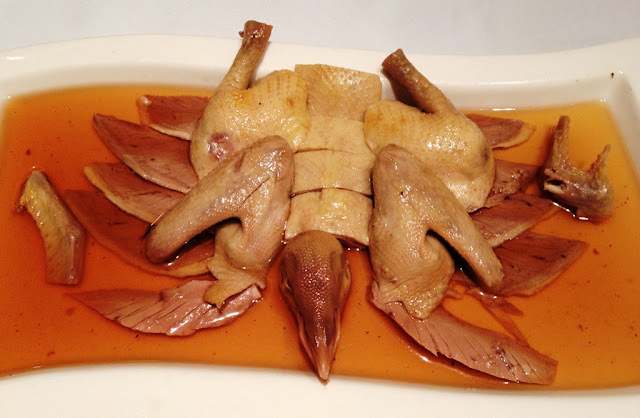 The first appetizer served was squab soaked in Chinese flowery carving wine. 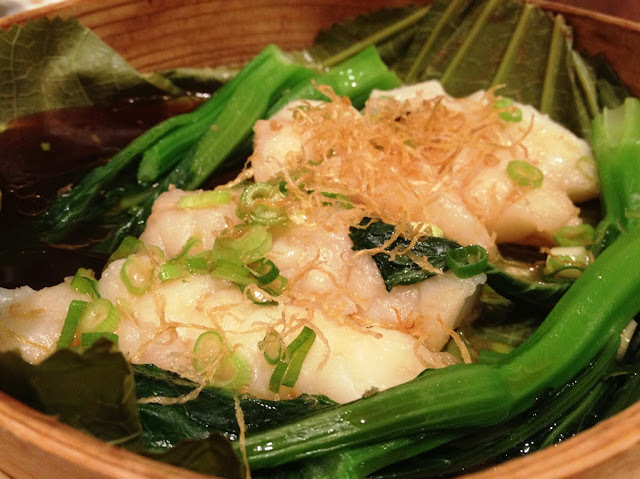 Evolved from Chinese yellow wine, it was made of glutinous rice and wheat. Traditionally, such wine was only presented during wedding banquets and the name originated from the usage of pottery with flowery carvings and patterns to make the wine gift more appealing. 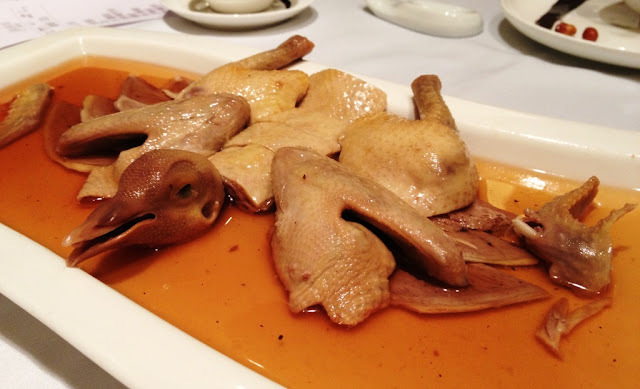 Squab is basically young domestic pigeon, and it tasted much more tender compared to its chicken or duck counterparts. The wine was well infused into the meat of the pigeon and reeked strongly of the alcohol. Depending on individual's preference and tolerance towards the wine, this dish in our opinion aced the score sheet. Momentarily, oblivious of the surrounding ambiance, we almost thought that we were eating Japanese cuisine. 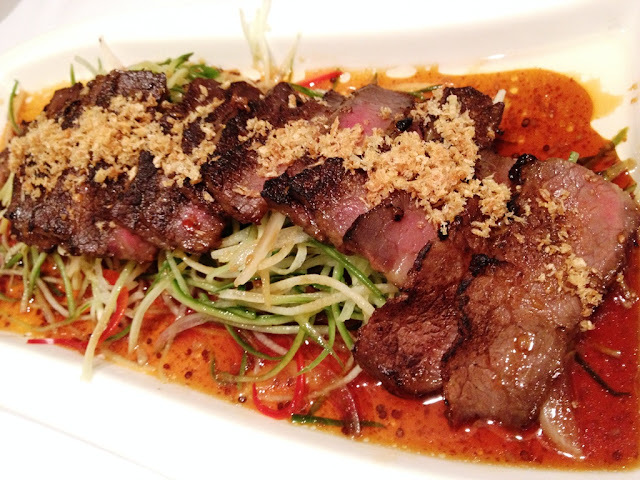 The char-grilled beef was very tender and had been carefully braised, locking in sufficient moisture from the complementing sauce, making each bite juicy and succulent. The ripeness of the beef was perfect, giving a slight crisp texture on the surface and tender inside, which was left half-cooked. The icing on the cake was the sauce which rounded up a classic umami flavour, pleasantly savoury and inviting. The accompanying salad contributed a crisp, crunchy texture to the tender meat, which made this the perfect appetizer for the evening. The Chinese name of the dish was slightly misleading initially. We thought there was pomegranate in the dish as suggested. 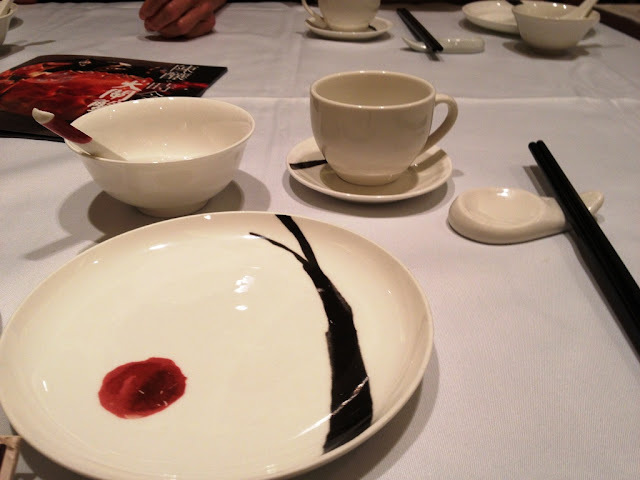 Instead, the round balls with a crystalline coating as shown in the picture was designed to look like pomegranate, with a jelly-like layer over carved water chestnut. 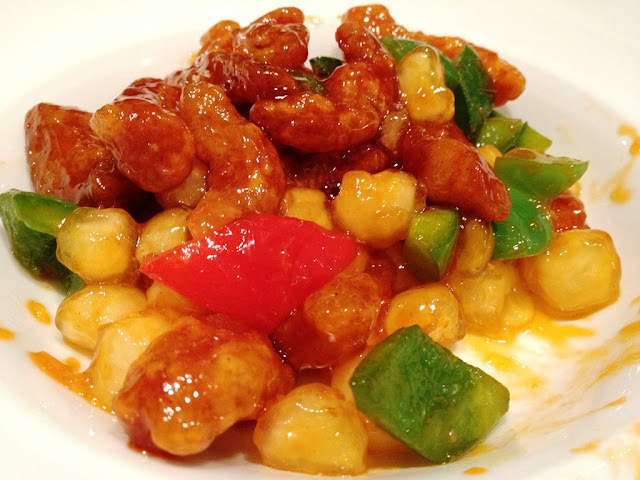 The water chestnut exuded a fresh burst of sweetness and crunchiness. The interesting bit was the 'wiredrawing' element to the dish, which referred to the method of cooking. The sugar in the sweet and sour sauce had been specially brewed to a certain degree of thickness, resulting in a viscous sauce, that would cling and stick to your cutlery as you tried to fetch a piece of the meat. This particular method is referred to 'wiredrawing', which certainly scored some extra points for such fine culinary skills. 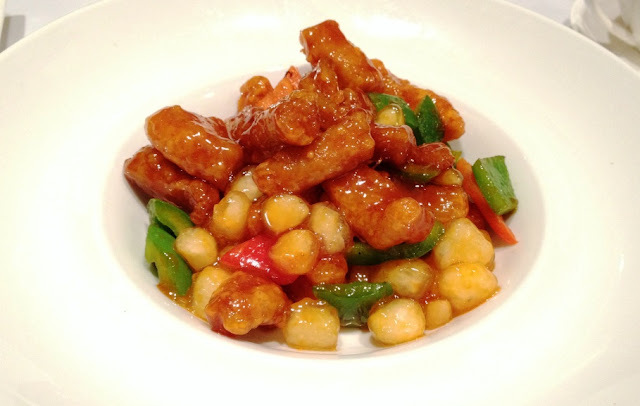 Each portion of the sweet and sour pork was prepared with the to be bite-sized, allowing diners to appreciate the balance in texture - a crisp batter surface complemented by the tender soft pork meat. Coupled with the usual bell peppers, this unique dish was sublimely done, with the exception of pineapples which was commonly which was what I would consider a perfect example of creating something extraordinary out of the norm. The serving was rather appalling to say the least. The thick gravy however was well infused and absorbed by the Chinese mushrooms. It tasted succulent and was of the prime ripeness, not being overly cooked, giving it a slight bouncy texture. The chosen chestnuts in contrast were prime, not overly dry and tasted mildly sweet. I would recommend this as a side dish to complement the dishes, though portion size could be improved. This was probably one of the only let-downs we had at the restaurant. There was a fishy odour to the fillet and after previous dishes, we were expecting this to shine. The fish was not as fresh as we would have desired, and that in our opinions was crux for any dish, particularly seafood. After several 'meaty' dishes, this vegetable dish was served to provide some balance. It was an interesting combination which reminded us of our dining experience at Kowloon Tang, where a similar dish was ordered. 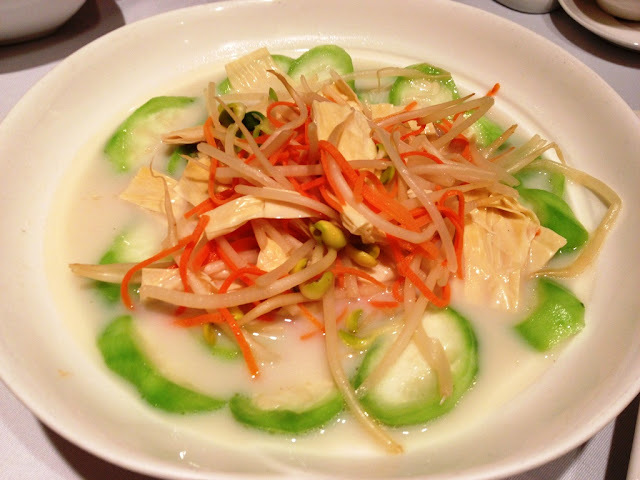 The soya milk taste was lacking in the broth, probably diluted by the moisture emitted from the vegetables. It was in general an 'okay' dish, nothing too impressive. 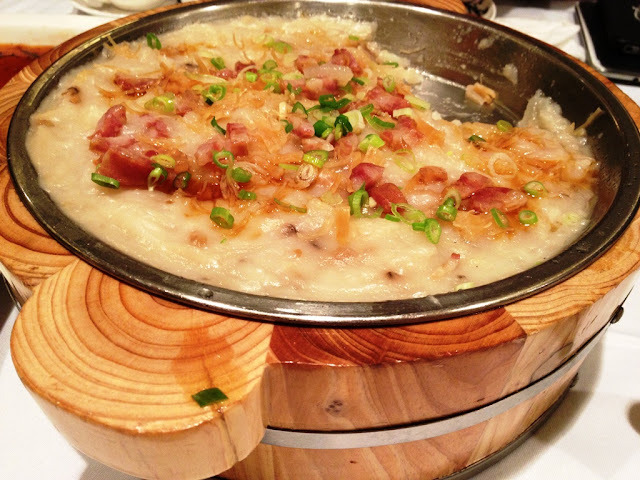 Some people referred this as radish cakes, but anyhow this Cantonese dish was quite a hit with the diners at the table. The texture was soft and rather mashy, which would certainly melt in your mouth. The diced Chinese sausage, Shitake mushrooms, chopped spring onion, and dried shallots made the plain-tasting carrot cake bursting with flavours with each spoonful. The balance in flavours was complete, a must try for savoury food lovers. 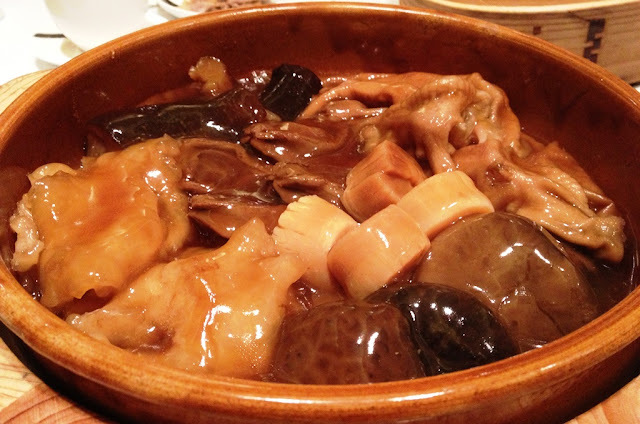 Generally considered as the treasures of Chinese cuisine, this bowl contained abalone, goose feet, fish maw, Chinese mushroom and scallops. 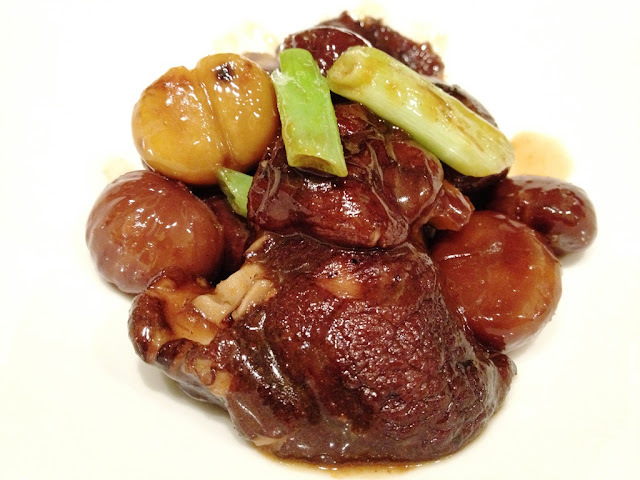 Individually, the abalone was cooked to prime ripeness, maintaining the chewiness and not tasting overly 'rubbery'. Each of these ingredients were savoury to say the least and equally succulent, absorbing much of the braised gravy. For the price of $368, we felt that it was certainly a worthy order. The fish maw and abalone presented were not of top grade quality, but surely passable for the price paid. In general, the ambiance of the restaurant was good, and would probably be suitable for business meals even. It was quiet and though not overly luxurious in terms of decorations, it was decent. Service could be improved upon, as some of the waiting staffs were not accommodative with our requests. For the price paid, in relation to quality of food, we would consider it as value for money. We would certainly recommend booking a table in advance to avoid long queues.